Imagine a park where you can enjoy acres of beautiful native evergreen forest, watchable wildlife, walking trails, community gardens, an off-leash dog park, and open playing fields. Imagine a park with baseball fields, tennis courts, running track, a playground with zipline, picnic tables, a group picnic shelter, and popular sledding hill in winter. 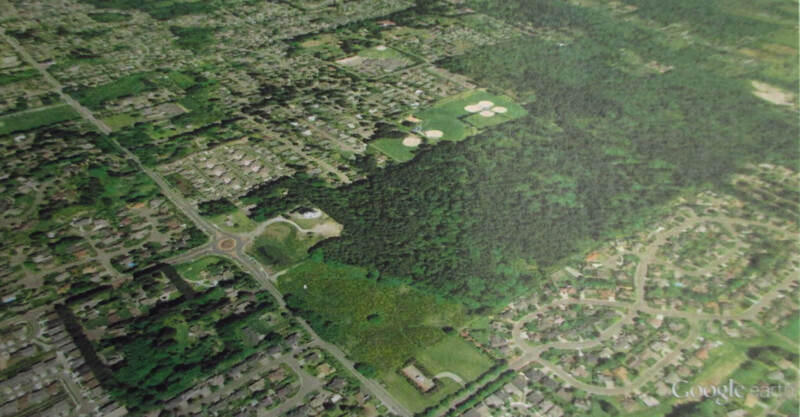 You are imagining LBA Woods Park—a winning combination of the existing 22-acre LBA Park and the adjacent LBA Woods properties in southeast Olympia. Our vision of LBA Woods Park meets the needs of Olympians all across the city—not just those of a small group of neighbors living nearby. Several thousand people from all quadrants of the city signed our petition to acquire the woods as a new city park. 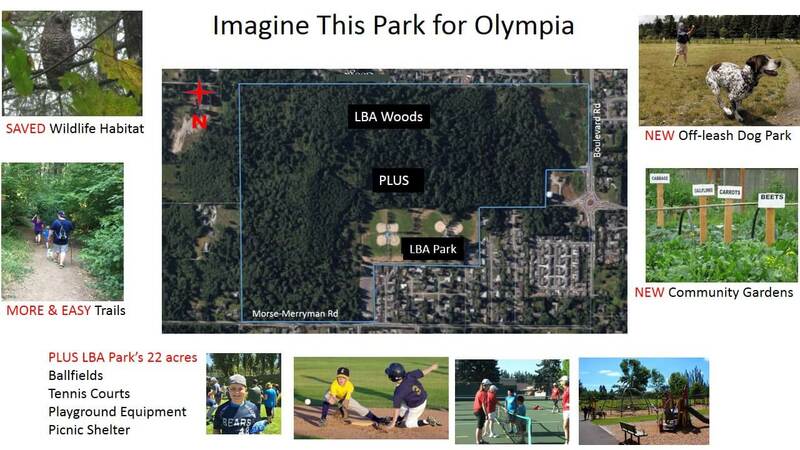 LBA Woods Park will be unique in the Olympia Park system. Our vision of LBA Woods Park offers an unparalleled combination of undeveloped forest land and much-needed park amenities in one great location for all of Olympia. Walking trails: The LBA Woods features a network of 4 miles of walking trails and footpaths. These trails are unofficial, but well-used, well-loved, and well-maintained by residents all over Olympia and surrounding areas. 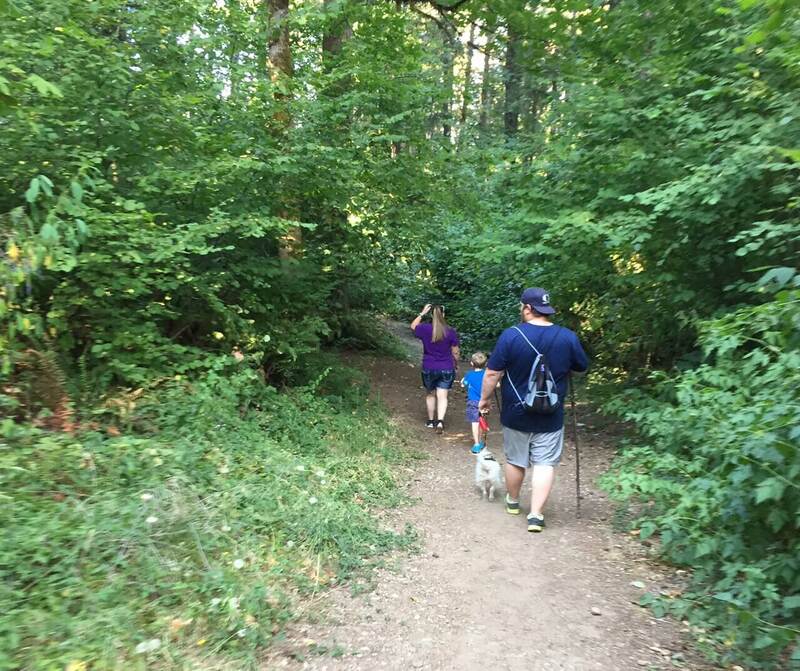 Unlike the trails in Watershed Park and Priest Point Park, many of the trails in the LBA Woods are easy, gentle trails suitable for young children, strollers, and our community members with mobility issues. These trails connect to the current LBA Park loop trail, which is immensely popular among families visiting LBA Park for their kids’ or grandkids’ baseball games and practices. 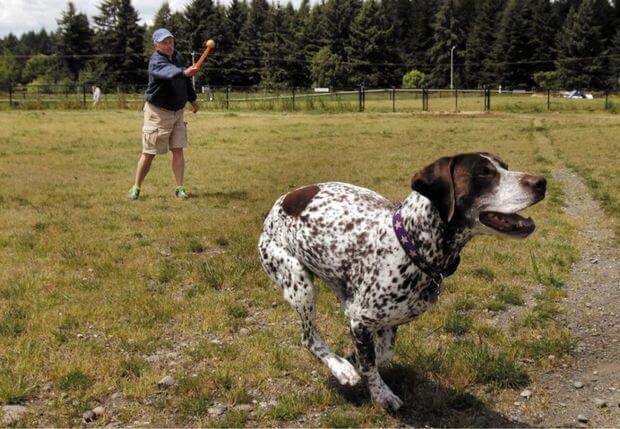 Off-Leash Dog Park: The City of Olympia currently has no off-leash dog parks. The 2006 Off-leash Dog Park Feasibility Study clearly identified the need for at least one such park for the City’s 13,000 dogs. The western portion of the LBA Woods along Boulevard Rd. includes a suitable site for an off-leash dog park, matching an identified preference for a site about an acre in size, located in a community park or special-use area, at least 150 feet away from the nearest residence, and not in an environmentally sensitive area. Such a site exists within the nine acres of flat, open land at the western edge of LBA Woods that is currently covered in “old-growth” Scotch broom. Nearest residences are at least 200 feet away (across Boulevard Rd.) and the site is walkable from within current LBA Park and from several neighborhoods near the LBA Woods. Note: In 2010, an off-leash park was created in Sunrise Park, but due to unforeseen complaints from neighbors and inadequate parking, the area was closed in 2013. Currently, Olympia pooches must beg their owners to drive to the Thurston County Dog Park in Hawk’s Prairie. Community Gardens: LBA Woods offers plenty of space for community gardens. 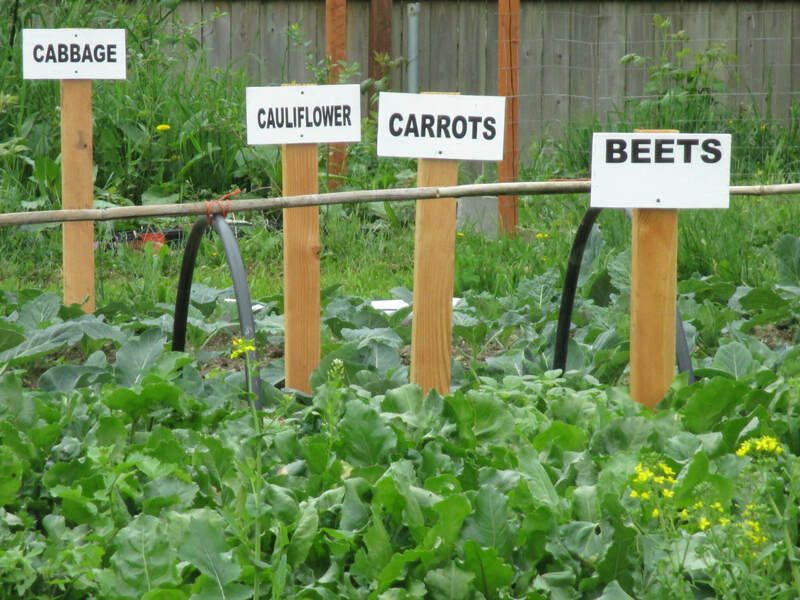 There are currently two community gardens in Olympia City Parks (Yauger Park and Sunrise Park) and the 2010 Parks Plan set a goal of establishing several more. The LBA Woods Park Coalition is partnering with organizations active in our area who are promoting stronger and healthier communities through gardening and eating locally grown produce. Edible Forest Gardens recognizes the potential of the sunny, south-facing field on the western edge of LBA Woods (currently covered in invasive Scotch broom) as an ideal location for community food production. They support the acquisition of the LBA Woods as does the Veterans Conservation Corps, which is seeking places and opportunities for our military veterans to connect to nature through volunteer environmental restoration projects. Imagine a park where we can use the land for growing, healing, educating, and strengthening our community. Its location is ideal. The LBA Woods is located in southeast Olympia, an area currently under-served by parks according to studies conducted by the Olympia Parks Department. The LBA Woods properties are well located to be convenient to residents within the city boundaries and residents to the south, an area which the City has committed to annex as part of the Urban Growth Area. It’s close by: LBA Woods Park would benefit a large area of our city currently not within easy walking distance of a park. This Parks’ department city map reveals a high need for a park in the southeast corner of Olympia where a large population center lives beyond the recommended ½ mile of a park or school. LBA Woods Park would bring more Olympians closer to nature. Getting there is easy by bike: Currently, dedicated bike lanes on Morse-Merryman Rd. lead directly to LBA Park entrances, which could provide official access to LBA Woods in the future. Existing dedicated bike lanes on Boulevard Rd. could provide direct access to a western entrance of the LBA Woods Park. These bike lanes also connect directly to the Olympia Woodland Trail and Chehalis Western Trail. 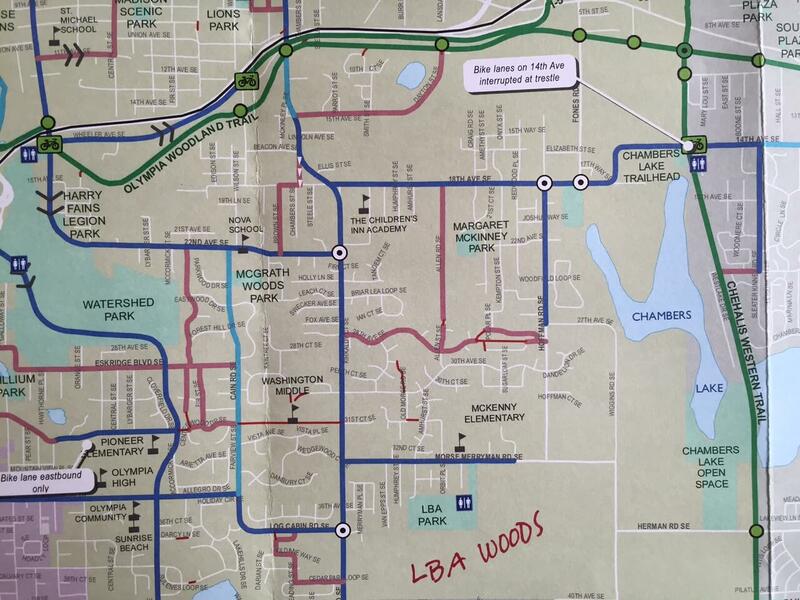 Take a look at these maps below or got to Thurston County Bicycle Maps to find your way to LBA. The blue lines indicate dedicated bike lanes. Getting there is easy by bus: Via Intercity Transit: Route 94 includes a stop at Boulevard and Morse-Merryman Rds.—an easy 9-minute walk via sidewalk to existing LBA Park (current closest access to LBA Woods). Route 94 also stops on Boulevard Rd. directly across from the western edge of the LBA Woods. It’s a natural for field trips: Imagine LBA Woods Park as an outdoor classroom for environmental education, nature exploration, and ecosystem studies for our school students. 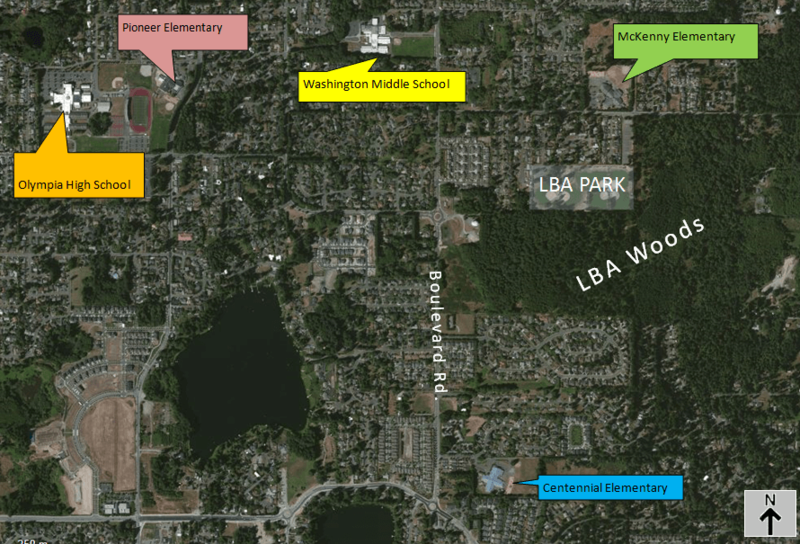 LBA Woods Park is convenient to local public elementary schools, middle school, and high school, and the new ORLA (Olympia Regional Learning Academy) on Boulevard Rd. Imagine the cost savings on field-trip transportation—the LBA Woods Park can be reached easily by public transportation and on foot. Our vision for LBA Woods Park includes saving the core of both parcels to preserve the integrity of the LBA Woods—the last, largest forested parcel of land in Olympia.